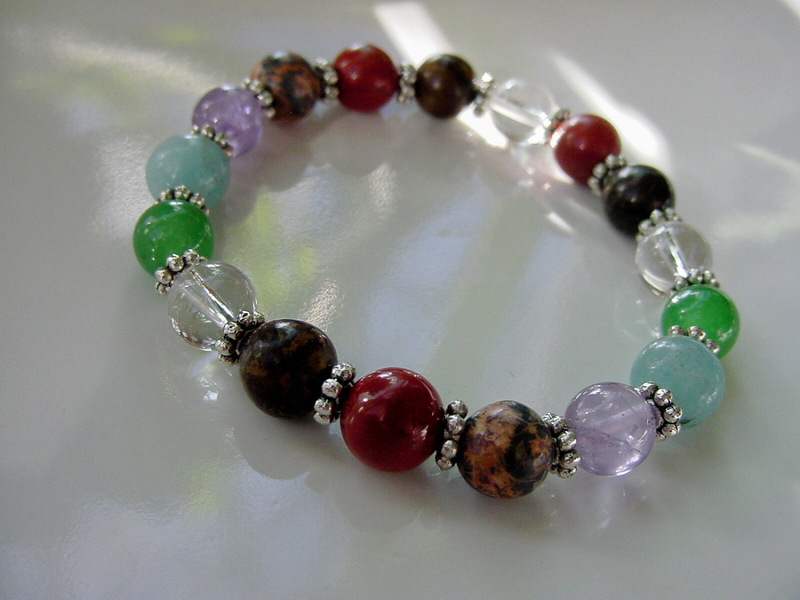 I made this bracelet with 7 semi-precious gemstones that have healing and balancing properties representing each of your primary chakras or energy meridians. Choose from the drop down menu your preference of stretch or clasp! 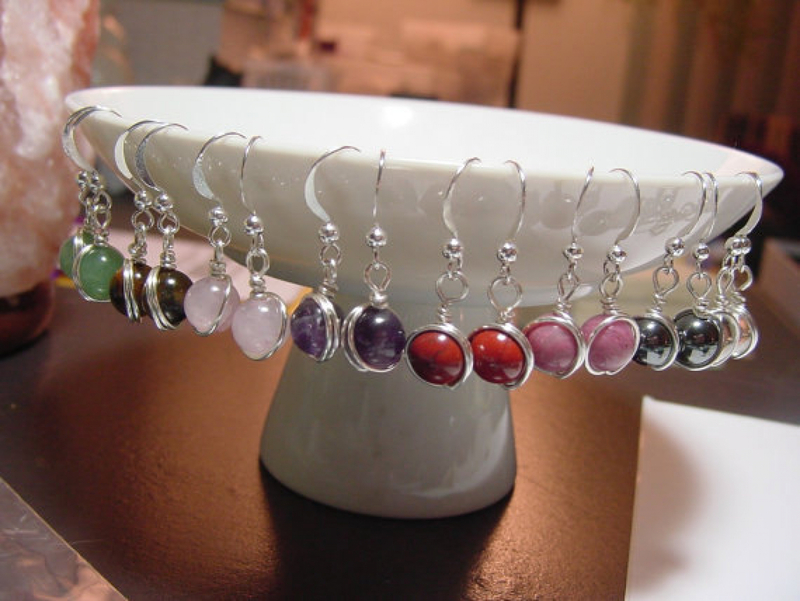 I made this chakra bracelet with the following stones representing each chakra. 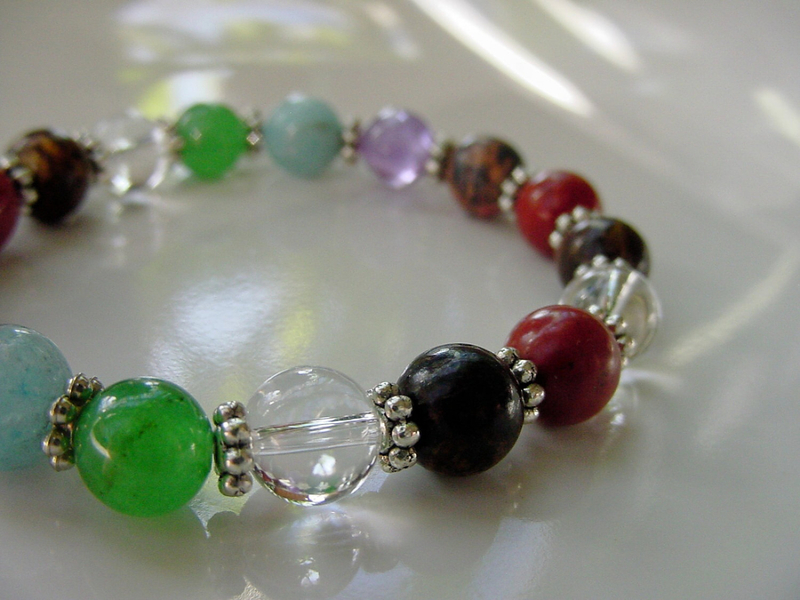 Your chakra balancing bracelet will be a beautiful tool to help balance these energy points in your body. The light of the full moon will clean and clear your chakra gemstones. The strongest time to clear by moonlight is between the full moon and the new moon. Leave your stones outside overnight. Another method is to smudge your stones using cedar or sage smudge sticks. Light a smudge stick and run the stones or crystals through the smoke a few times to clear.